Does Saints Row IV Work As A First-Person Shooter? Hell Yes. 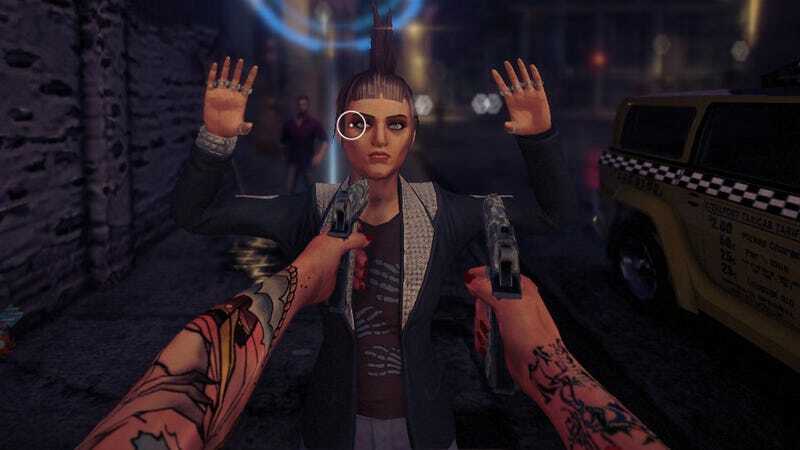 They did a first-person mod for GTA IV, so it was bound to happen for Saints Row IV, too. And thank goodness it did. The mod is being developed by a group of modders led by ImmortalSin, who hails from the Saints Row Mods forum. It is currently in alpha—a fact that's readily apparent in this player-recorded gameplay video. Janky or not, there's first-person super jumps. First. Person. Super jumps. And from here on, it can only get better. How awesome is that? If you've got a PC copy of the game, you can get a taste of the action in the mod's forum thread, right here.